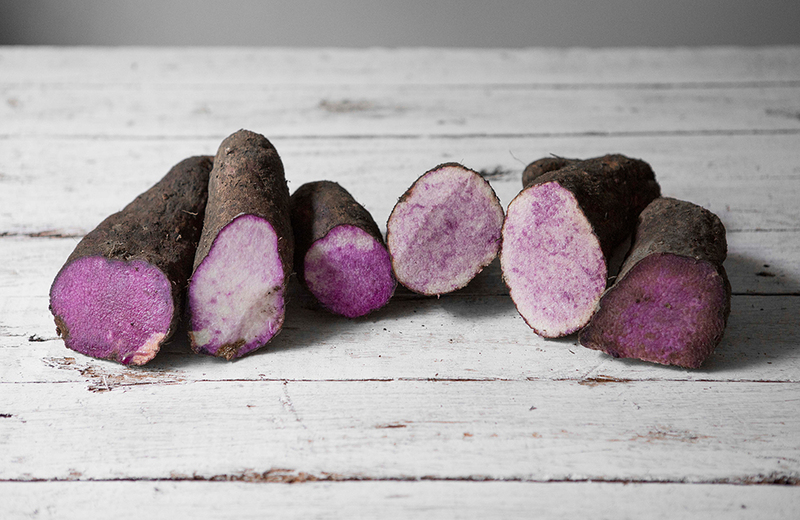 Ube (dioscorea alata), also known as purple yam, is often mistaken for its more mainstream counterparts, like taro and Okinawa sweet potato. Ube, characteristic of violet hue, touts a subtle sweetness that’s arguably most appreciated in the Philippines. Ube predominantly makes its way onto the Filipino dining table by way of desserts, including ube halaya, a type of jelly. The grated yam is then placed in melted butter, condensed milk, and vanilla extract.